The Democratic primary for Senate is still very much up for grabs, but former Congressman Joe Sestak is the biggest winner of this month’s poll. The latest Franklin & Marshall survey has Sestak’s support at 21%, ahead of both Katie McGinty, 12%, and Braddock Mayor John Fetterman, 8%. The poll also indicates that 56% of electorate has yet to make up their minds. Of that group, Katie McGinty leads in which way they are leaning at 9%. Sestak comes in at 8% with Fetterman at 2%. This is by far Sestak’s biggest lead of the campaign since his two competitors have jumped in. He was up by 4% last month, 2% in October and 3% last August. There is also the matter of people switching their minds with the primary still two months away. Only 56% of those who said they were supporting a candidate indicated that they had made up their minds. 46% are still in the process of making up their minds. This poll was conducted by the Center for Opinion Research at Franklin & Marshall College. They surveyed 486 registered Pennsylvania Democratic voters from February 13th to February 21st. The margin of error is +/- 3.1%. John Fetterman would be a good representative for Pennsylvania on the Senate floor. More passion about the subjects and does not bow to big money interests. Update: Looks like Hillary’s emails will not kill her chances, but I think her speaker-fee-gate will eventually take her down and maybe lots of Democrats down-ticket also. Her poor chances of winning the general should be of concern to Democrats. Bernie is the strongest Democrat. Dave Diano is sad his girlfriend Kane isn’t running for Senate. He’d vote for her for sure! Sestak is great. #2 academically in his class of 900 at Naval Academy. He takes global warming seriously, whereas McGinty is pro-fracking. He is also a super-hard worker and very effective speaker. The Democratic establishment is promoting McGinty, but that was a very unwise decision, wasting money that will be needed in the fall. Toomey is getting millions from the Koch Brothers to push fossil fuels. Remember, Philly is only 9 feet above sea level. Global warming set another record today at 1.04C above the 1980-2010 average (http://cci-reanalyzer.org/DailySummary/index_ds.php). Maybe Hillary could be Trump’s VP? Actually out of all the Reps, Trump makes the most sense to me. Looks like he’s gonna win the primary pretty easily in fact. I having been a paid political staffer the last two years I believe anyone who puts any faith in the F&M poll is foolish and delusional. The campaigns haven’t even started doing their own internal polling. It is much to early. Get four weeks out from Election Day with a scientific poll which the F&M is surely not and it would be news worthy. Now it is just guessing. Even after State Committee next week I believe who the voting Democratic s choice for Senator will not be decided. 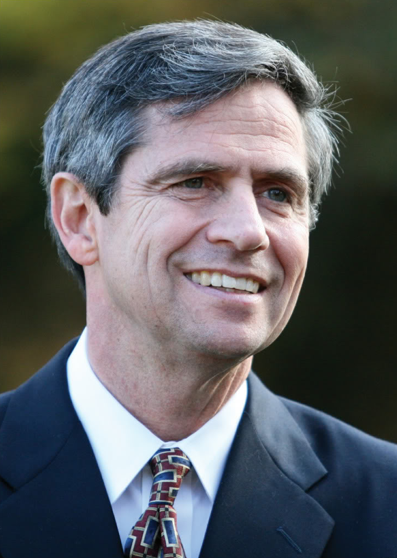 Joe Sestak has run the longest campaign for Senate in Pennsylvania history. He has virtually never gone away since he lost to Toomey. If you went to a Governor’s or State Supreme Court Judge’s campaign event. There was Sestak making an appearance. Asking to talk first and leave the event to go to another canidste’s event. 99% percent of the time talking about himself and nothing useful to the candidate whose event he invited himself to attend. More than one of these candidates did not appreciate Sestak’s horning in on their events. Sestak would gain from a poll like the F&M because every day for the last five years and three months he has been running for US Senate. I believe in some places he has wore out his welcome. My expectation is that any Democrat can beat Pat Toomey in November. In 2010 Pat Toomey defeated Joe Sestak by 80,229 (2,028,945 to 1,948, 7160 in the election in which Tom Corbett defeated Democrat Dan Onorato by 357,975 (2,172,763 to 1,814.788) — a difference of 277, 746 votes fewer votes for Pat Toomey than Tom Corbett. Republican electoral success has only gone downhill since then. Since then, Pat Toomey has abandoned those who have supported him 2004 to make common cause with the despised Republican Embellishment which has enabled Barack Obama to advance his Leftist agenda. Since then, in November 2014, Tom Corbett was shellacked by Democrat Tom Wolf. Since then, in 2012, Democrats swept all three statewide offices; Treasurer, Auditor General and the Attorney General for the first time since office was created. I expect that Donald Trump will win Pennsylvania’s primary election and, in November, likely win Pennsylvania. (Donald Trump is not a snob and has exceptional cross-over appeal for the “Bitter Clingers” so contemptuously mocked by the aloof Barack Obama). Other than Pat Toomey, the Republicans do not hold on Pennsylvania statewide office. The self-serving incompetence of the Gleason-Asher-DiGiorgio network of consultants getting rich by losing elections explains much of this but also Pat Toomey’s abandonment of his own base may be more of a factor. Pat Toomey has now endorsed Republican Establishment Open Borders/Amnesty Marco Rubio who is likely to lose his home state of Florida in the Florida Republican Primary of March 15th. Pat Toomey is a loser in November 2016. VodVarka submitted petitions before the poll was taken, and the challenge occurred after the poll, so he should have been included. Especially true if Bernie is the candidate—newest Reuters poll shows him land-sliding Trump—Hillary is a loser and her emails and speaking fee-gate will kill her and all Dems seeking election…..plus, she is far weaker than Bernie against all Republicans….. The F&M poll by Terry Madonna is under-funded and a real joke—-c’mon Terry give us a real poll—get some money from someone— other than Republicans.. Hillary will lose the general and Trump will prevail—-actually the best Rep candidate at this point. Way, way too early for this horse-race baloney. If you want to make some money, bet on another Democratic wave election in November. Repubs with Trump as their lead will not carry a single statewide race. Governor wolf’s approval rating is hurting mcginty and it will also hurt shapiro watch next poll out in ag race guarantee zappala is ahead if im a candidate I stay far away from wolf. So 60% are completely undecided, and half of those who have a favorite aren’t yet sure who they’ll vote for. So really, only 20% of those surveyed had a real opinion. Pretty weak tea leaves, I’d say. Let’s just double the percentages since about 1/2 of the people did not make up their minds. Therefore: Sestak 42% McGinty 24% Fetterman 16% This then accounts for all voters on a proportionate basis thereabouts. (Bob Newhart school of accounting). Looks like Sestak is gonna take down Toomey!! Hooray! To David Diano: When are you going to stop taking these F&M polls seriously? The results are to my liking, but thagt does not change the fact that a poll that excludes wireless phone users is useless. Also, VodVarka’s petitions have been challenged, so it is not a given that he will be on the ballot. The Admiral. Can people just stop saying that???? BTW, “Other candidate” polled at 4%. Considering that Joe VodVarka submitted petitions, his name should have been included in the polling. Sounds like support for the candidates is still pretty soft and people aren’t paying attention. It’s hard to tell with rounding and margin of error. But, taking the numbers at face value, Fetterman going from 6 to 8 is a 33% increase for him. The shortness of the race (April instead of May primary) works against him getting more people to know him.